She was called “The World’s Ugliest Woman” for all the web to see. 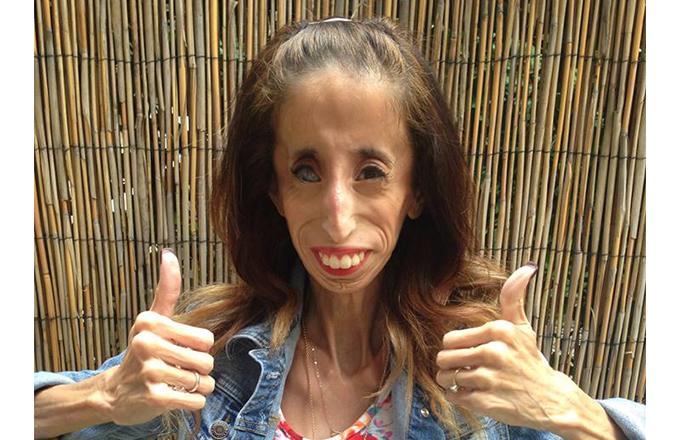 In an eight-second YouTube video, a then-17-year-old Lizzie Velasquez was thrown to the vultures of the Internet and was ravaged with brutal comments. “Kill it with fire,” one comment spat. “The world would be a better place without you in it,” fired another. While casually searching for music online, Velasquez stumbled upon the video featuring her image only after it had already garnered 4 million views. It was a devastating discovery. "I cried for many nights—as a teenager I thought my life was over," she told the BBC. "I couldn&apos;t bring myself to talk to anybody about it, I didn&apos;t tell any of my friends, I was just so shocked that it had happened." Growing up in Austin, Texas, Velasquez, now 26, knew she was different from an early age. Believed to be a type of Neonatal Progeroid Syndrome by University of Texas professor Abhimanyu Garg, the rare congenital disease with which she was born with doesn’t allow her to put on any weight, no matter what she eats. It’s also caused her to go blind in one eye and suffer premature aging. 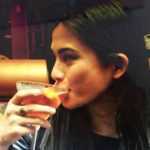 “They&apos;re the best parents in the entire world," Velasquez, the eldest of three children, told the NY Daily News. "From the moment I was born they showered me with love. And they didn&apos;t just raise me. They raised my brother and sister in the exact same way. So that love, multiplied times three, is what definitely brought me to where I am today." On top of her family’s unconditional support, she also had teachers, coaches—she even made the cheerleading team—and a close group of friends who helped her overcome her insecurities. To combat bullying and show others how to be comfortable in their own skin, Velasquez decided to start her own YouTube channel. It was a battle strategy that left her vulnerable, sure, but it was one she thought was entirely necessary. She was going to own her story. Since then, her presence has expanded globally. A 2013 TEDxAustinWomen talk, “How Do You Define Yourself?,” for example, has drawn nearly 10 million views to date. 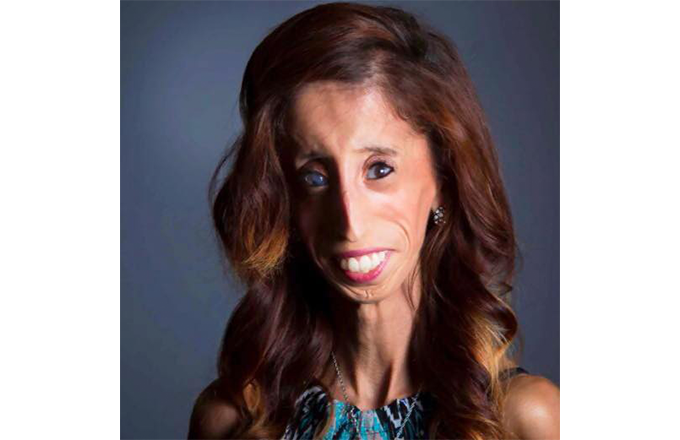 Now, the Texas State University graduate is not only a motivational speaker and published author, but she’s also the focus of the 2015 documentary, A Brave Heart: The Lizzie Velasquez Story. Directed by first-time filmmaker Sara Hirsh Bordo, the SXSW Audience Award-winning, Kickstarter-funded film chronicles Velasquez’s ongoing physical journey and important social battle. Here, audiences not only witness her work as a motivational speaker, but also as an anti-bullying activist fighting to pass the Safe Schools Improvement Act. With Bordo’s direction, the project finally clicked for the 26-year-old. 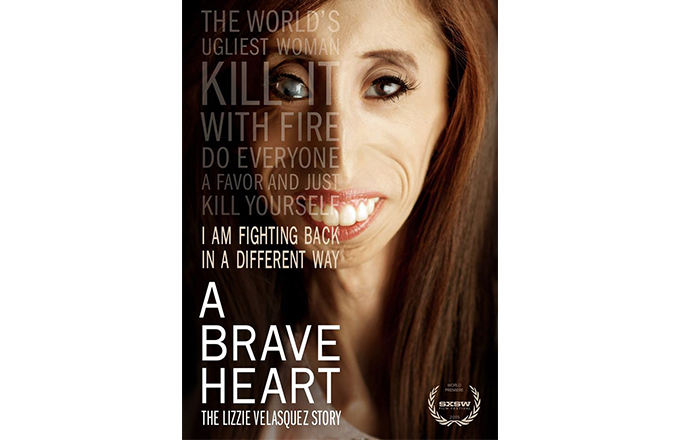 For more on A Brave Heart: The Lizzie Velasquez Story visit http://imwithlizzie.com/.